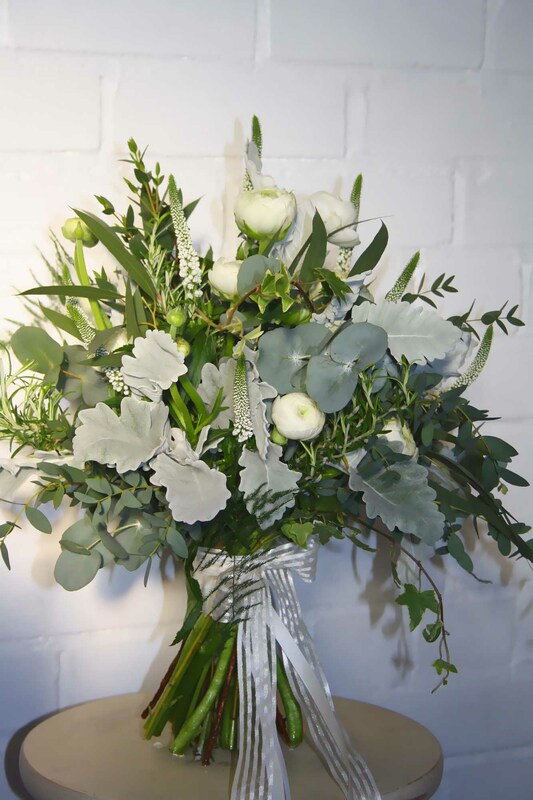 Amazing Sopley Mill wedding this weekend….. 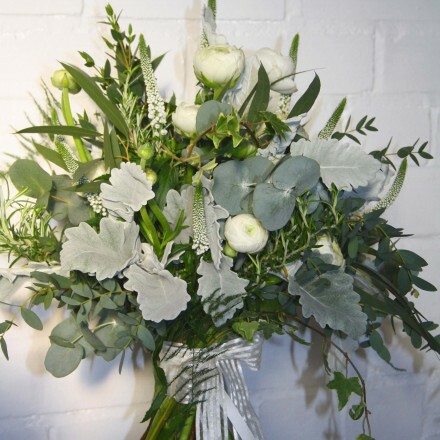 I love an all foliage wedding, bang on trend and just stunning. 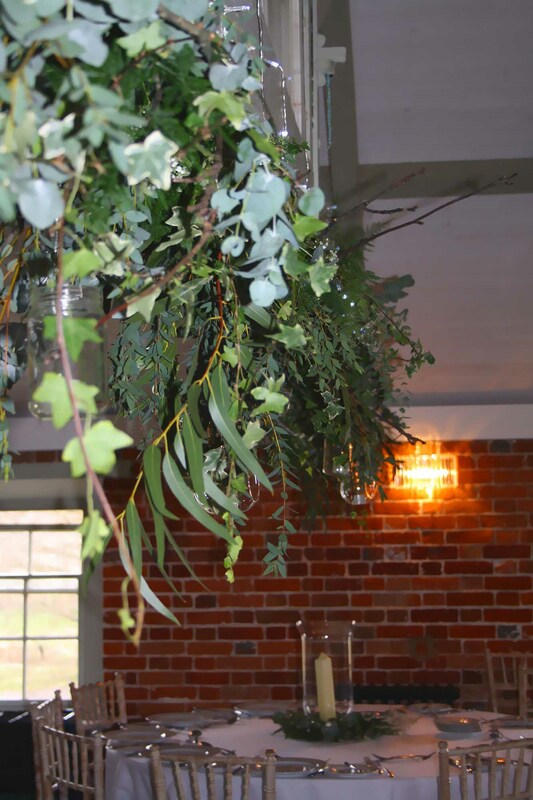 A beautiful selection of eucalyptus foliages with variegated ivy and soft delicate asparagus fern created the look on the beams. 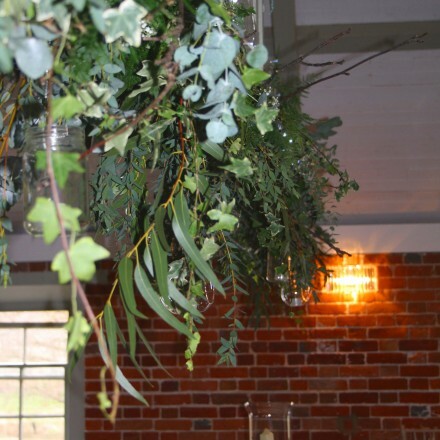 A mass of jam jars and glass globes filled with tea lights hung amongst the foliage for a romantic cosy glow. 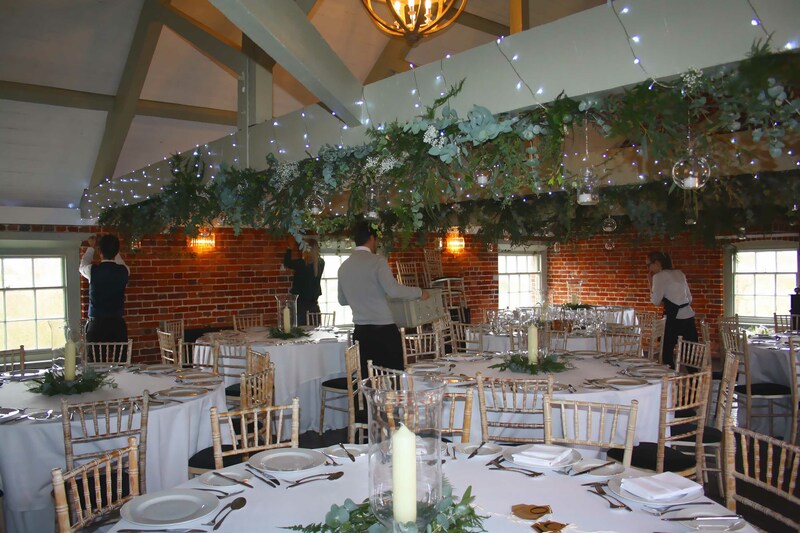 The tables mimicked the beams using tall glass storm lanterns with chunky white church candles and a scattering of foliage around the bottom. 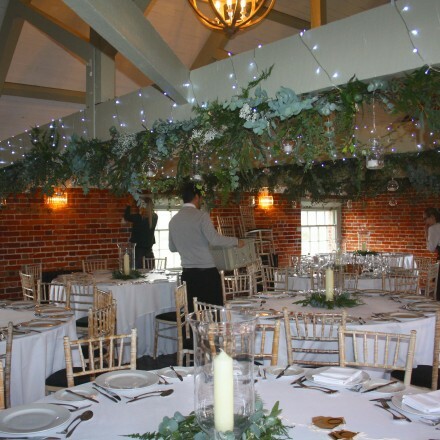 These were kept simple letting the beams be the star of the show. 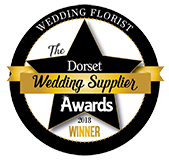 The bride embraced the theme of her wedding donning an all foliage bouquet with lots of scented rosemary, silky silver senecio leaves, textured white ranunculus and a touch of white veronica, all finished off with trailing white ribbons.